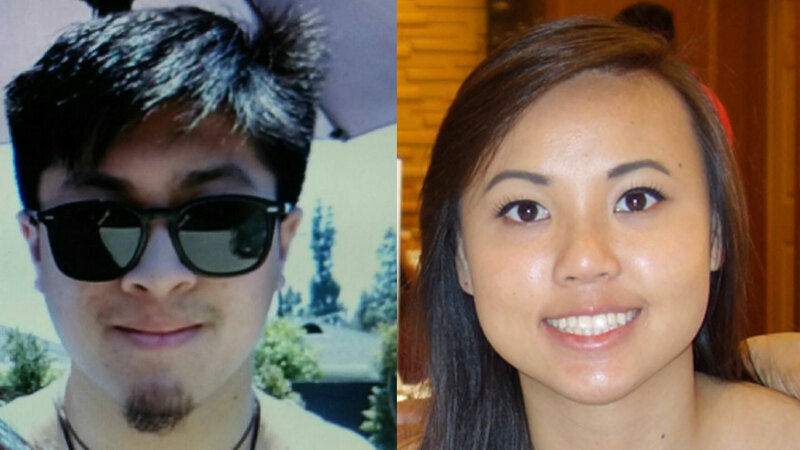 JOSHUA TREE NATIONAL PARK, Calif. -- Amid triple-digit temperatures, authorities on Tuesday suspended the search for a Los Angeles-area couple who went missing days earlier while hiking in Joshua Tree National Park. Rachel Nguyen and Joseph Orbeso, both of whom are in their 20s, did not check out of their accommodations near the park at 11 a.m. July 28. All of their belongings were left behind, according to the National Park Service. A search was launched that included San Bernardino County sheriff's deputies, California Highway Patrol officers and K-9 units. Several search-and-rescue personnel experienced medical issues due to sweltering conditions Tuesday in the Joshua Tree area, where the high temperature was expected to reach 100 degrees. Sixteen personnel and 14 dogs were participating in the search when it was suspended at noon. The operation is expected to resume Wednesday morning. On Monday, park service officials said the couple's vehicle was found in the northwest area of the park, near Maze Loop. Orbeso's cellphone pinged from a location inside the park around 4 p.m. on July 27. Anyone with information about the couple's whereabouts is asked to call San Bernardino Dispatch at (909) 383-5652.